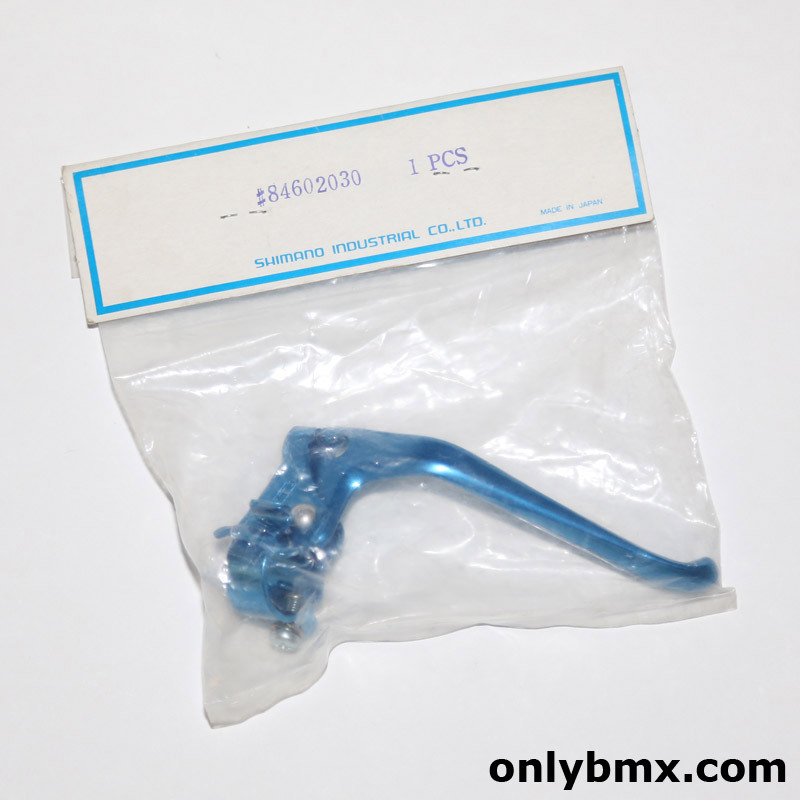 New in the packet old school BMX brake lever from Shimano. 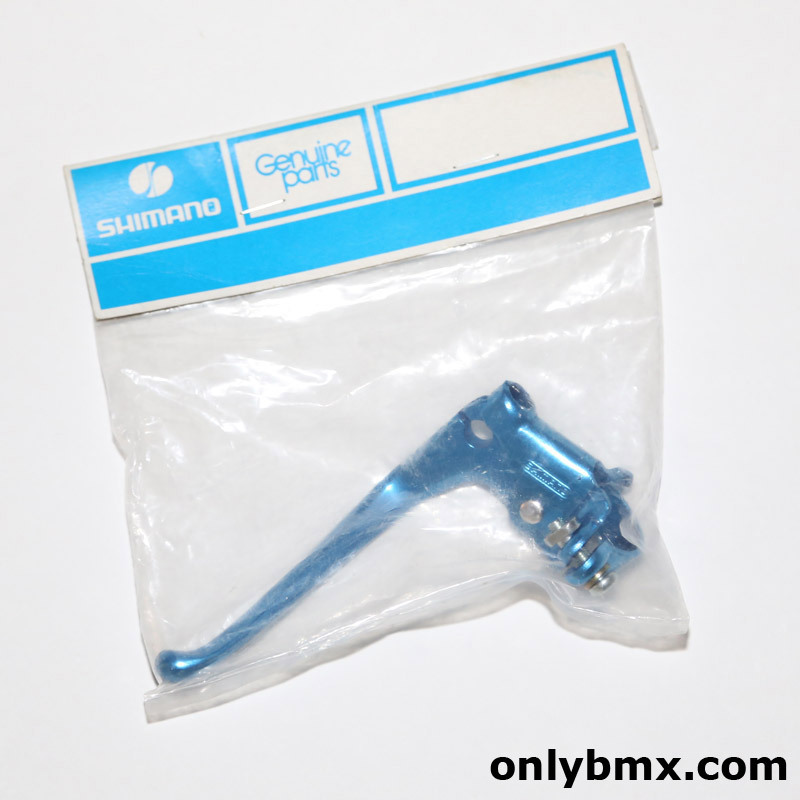 Known as the pre-bent lever it was the standard equipment on late 70s or early 80s BMX bikes. Had one on my Mongoose and eventually it broke as the design means the wear on the lever is slightly uneven. This right hand lever is still in the packet and obviously new and never mounted. Blue colour is still perfect. Stick it on a BMX with a Shimano Tourney brake caliper and you will be doing skids in no time. Better yet, upgrade to the Dia-Compe MX1000 brakes and do even better skids. To enquire about this BMX part for sale, please complete the form below.